The Opossum is commonly called the Possum. However, it’s proper name is Opossum, and can be pronounced either uh-possum or just possum. The Opossum is the only living Marsupial found in North America naturally. The adult Opossum’s body found in and around Southern California measure around about 20 inches long and their tail adds another 10-20 inches more. They look similar to a very large rat with a long skinny tail. They are typically furry animals with white or beige fur and usually a white face. Their eyes are typically pink and cannot see well during the daylight. They are nocturnal, nighttime, creatures. The Opossum can eat just about anything, and that means they can live among humans quite well. They are typically nocturnal scavengers that eat our trash, dog and cat food, rodents, dead carcasses of dead animals, insects, our fruits and vegetables, and anything else they can find. 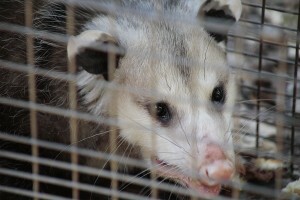 Opossum are commonly found living in and around residential and commercial areas. We find them living beneath crawlspaces, in burrows, but most commonly we find them occupying sheds, garages, attics and other areas around the home. Opossums found in Santa Barbara County commonly have fleas, lice and ticks, but that’s just the start of it. They are also a very smelly animal that can cause some unpleasant odors around your home. They are also common carriers of all sorts of diseases. This can include diseases like Tuberculosis, Salmonella, Spotted and Yellow Fevers. Because they often live quietly among us, they may infect areas around our house that can cause disease to travel to our domesticated animals and even ourselves. Eating contaminated fruits, vegetables and herbs without a good washing can infect us. 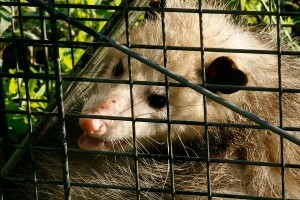 So-Cal Pest Control, here in Santa Barbara County, provides the safe live animal trapping of the Opossums in and around your home or business. Because Opossum are nocturnal, we can set our live traps during the day, capture them at night, and remove them during the day. We capture them using special live traps that don’t harm the animal. We then safely remove the animals from your property away from human habitats. Because Opossum can often be found living in and around your home, such as the garage, crawlspace or attic, clean up is needed of the affected areas. Our live animal clean up services get your residential areas free of the diseases and insects that can be found with the Opossum. Our objective is to give you the comfortable feeling of your home back to you.